Pick up the Devil May Cry 5 original soundtrack when it lands on vinyl and CD this summer. If you enjoyed the soundtrack that accompanied you in Devil May Cry 5 as you breezed through the world slaying every single demon in your path, you can soon bring it home on vinyl record and CD. The Devil May Cry 5 Original Soundtrack is coming to CD and vinyl this year by way of Laced Records. Laced Records has forged a partnership with Capcom to announce a deluxe x4LP, x2LP, and x5CD box sets that are up for grabs right now via the Laced Records website. The soundtrack features performers like Casey Edwards, Cody Matthew Johnson, Jeff Rona, John R. Graham, Steven McNair, Kota Suzuki, Hiromitsu Maeba, and Yoshiya Terayama as well as iconic tracks like Nero's battle theme "Devil Trigger." If you've played the game (or if you watched The Game Awards 2018) you know the one. The Devil May Cry 5 Original Soundtrack will come in two collections, with a deluxe x4LP box set that includes 51 tracks across 4 180g LPs, and a SSSuper SSStylish x2LP collection with 21 tracks selected by the composers themselves. Meanwhile, the deluxe x5CD set comes with 136 songs from the game. Each version comes with a special "demon-proof" box set "infused with devils' blood." Okay, so that part probably isn't true. 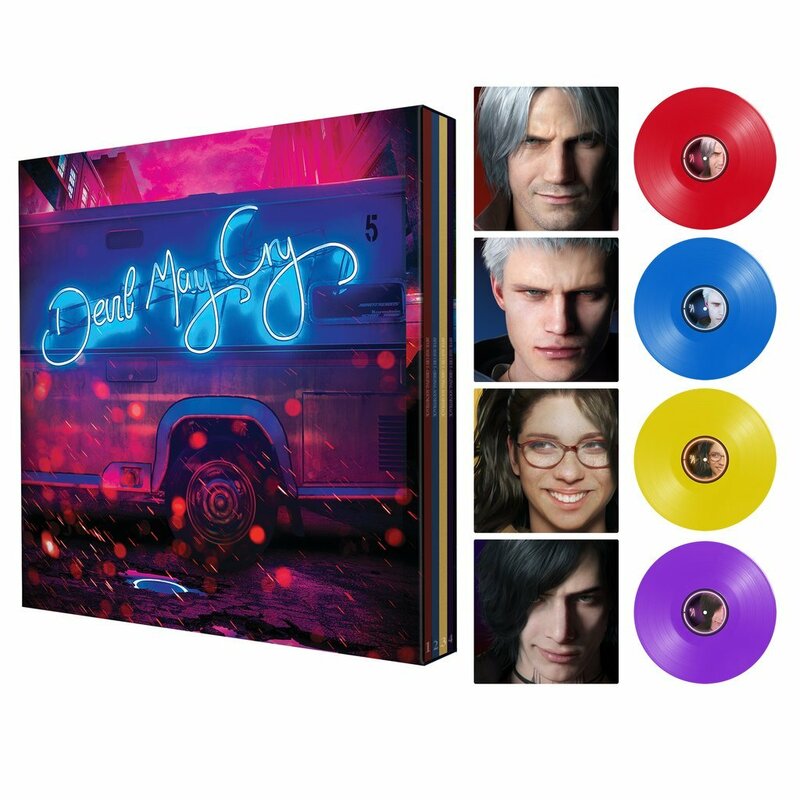 The Devil May Cry 5 Special Edition vinyl box set. 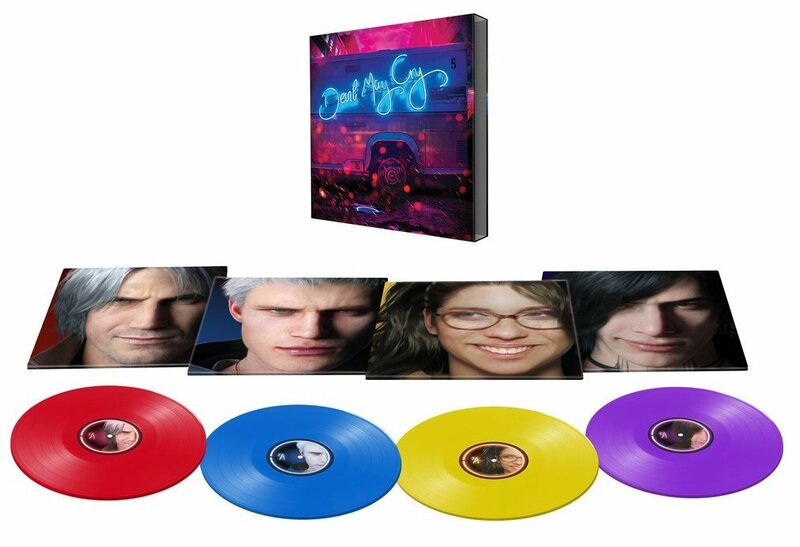 The vinyl sets feature colored records with red for Dante, blue for Nero, yellow for Nico, and purple for V. They'll run $80, $35, and $30 respectively, with shipments via Royal Mail 1st Class, scheduled for release July 2019. If you want to own a piece of physical Devil May Cry 5 history, you'd probably better go ahead and preorder, because these babies are going to go fast. Pull that (vinyl-purchasing) trigger. Seriously – you gotta play it.